These light-duty umbrellas available in two sizes – the 7 1/2 ft canopies are hexagonal in shape and the 9 ft canopies are octagonal. 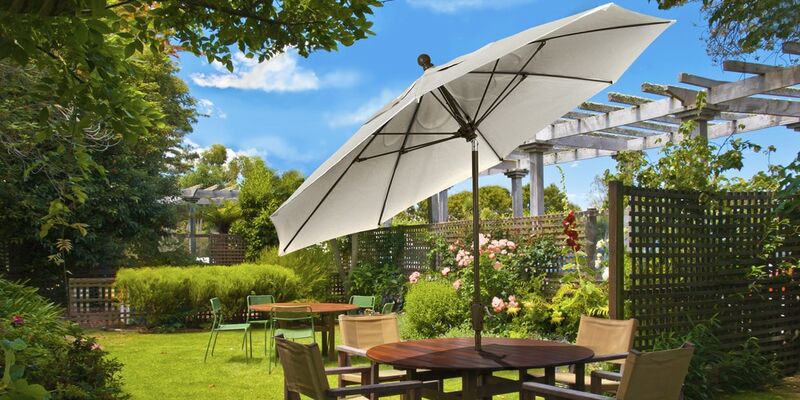 The market style umbrellas feature a a two piece, 1 1/2″ diameter pole with a .065 aluminum wall thickness and three powder coat finish colors. Can be used for both in-table and freestanding use. Not designed for high wind locations. These budget-friendly valance style umbrellas provide years of shaded comfort to backyards and pool decks.